A young girl flees Nazi-occupied Germany with her family and best friend, only to discover that the overseas refuge they had been promised is an illusion in this “powerful and affecting” (Kirkus Reviews) debut novel, perfect for fans of The Nightingale, All the Light We Cannot See, and Schindler’s List. Before everything changed, young Hannah Rosenthal lived a charmed life. But now, in 1939, the streets of Berlin are draped with red, white, and black flags; her family’s fine possessions are hauled away; and they are no longer welcome in the places that once felt like home. Hannah and her best friend, Leo Martin, make a pact: whatever the future has in store for them, they’ll meet it together. Hope appears in the form of the S.S. St. Louis, a transatlantic liner offering Jews safe passage out of Germany. After a frantic search to obtain visas, the Rosenthals and the Martins depart on the luxurious ship bound for Havana. Life on board the St. Louis is like a surreal holiday for the refugees, with masquerade balls, exquisite meals, and polite, respectful service. But soon ominous rumors from Cuba undermine the passengers’ fragile sense of safety. From one day to the next, impossible choices are offered, unthinkable sacrifices are made, and the ship that once was their salvation seems likely to become their doom. Seven decades later in New York City, on her twelfth birthday, Anna Rosen receives a strange package from an unknown relative in Cuba, her great-aunt Hannah. Its contents will inspire Anna and her mother to travel to Havana to learn the truth about their family’s mysterious and tragic past, a quest that will help Anna understand her place and her purpose in the world. The German Girl sweeps from Berlin at the brink of the Second World War to Cuba on the cusp of revolution, to New York in the wake of September 11, before reaching its deeply moving conclusion in the tumult of present-day Havana. Based on a true story, this masterful novel gives voice to the joys and sorrows of generations of exiles, forever seeking a place called home. 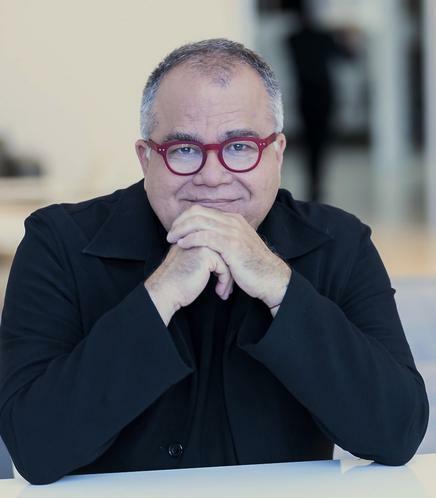 With 20 years of experience in Hispanic media, award-winning journalist and author Armando Lucas Correa is the Editor in Chief of PEOPLE EN ESPAÑOL, the top selling Hispanic magazine in the U.S. with more than 7 million readers every month. In his role, he oversees the editorial content of the magazine, PeopleEnEspanol.com and its digital editions for tablets and mobile. People en Español (New York). In Cuba, and entered the world of print journalism in 1988 when he was appointed the editor of Tablas, a national theater and dance magazine based out of Havana, Cuba. Correa is the recipient of various outstanding achievement awards from the National Association of Hispanic Publications and the Society of Professional Journalism. He is the magazine’s primary spokesperson and regularly appears on national Spanish-language television programs discussing celebrity news and scoops. His book En busca de Emma (In Search of Emma: Two Fathers, One Daughter and the Dream of a Family) was published by Rayo, Harper Collins in 2007 and for Aguilar, Santillana (Mexico) in 2009. His first novel The German Girl will be published in October in Enlgish and Spanish by Atria Books, a division of Simon and Schuster. He currently resides in Manhattan with his partner and their three children. 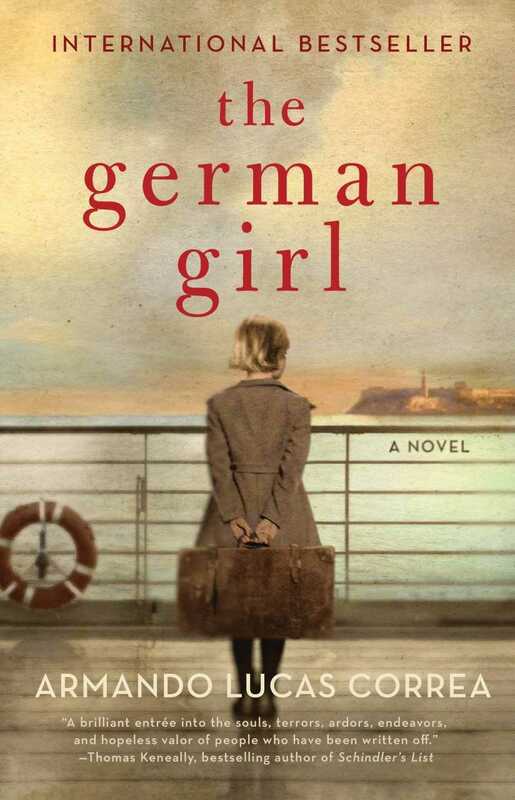 Perfect for fans of THE NIGHTINGALE, SCHINDLER’S LIST and ALL THE LIGHT WE CANNOT SEE, THE GERMAN GIRL by Armando Lucas Correa imparts the story of a 12-year-old girl’s harrowing experience fleeing Nazi-occupied Germany. Based on a true story, the narrative gives the reader an intimate look at what some families went through in hopes of enduring the most difficult of times. The paperback just released yesterday, and if you’ve not yet read this deeply poignant story, I’m excited to share an excerpt from the book with you today. Mama and I stared at each other. The music went on playing. We both knew the moment had arrived, even though no one had prepared me for it. I looked at her for some answer, but she was slow to react; she didn’t know what to do. She rose from her bergère armchair and lifted the Victrola’s moveable arm. The disk stopped turning, and silence filled the living room, which now seemed as vast as a castle. I felt like an insect in the doorway. Two more loud knocks followed. Mama shuddered. Her lips started to quiver, but she stood very erect, lifted her chin, stretched her neck, and walked slowly toward the door—so slowly, there was time for not just two but four loud bangs that made the room tremble. Mama opened the door, genuflected, and gestured with her hand for them to come in, without asking who they were looking for or what they wanted. Four Ogres entered the living room one after the other, bringing with them a blast of cold air. I couldn’t stop trembling. The freezing draft chilled me to the bone. The chief Ogre reached the center of the room and came to a halt on the thick Persian rug. Mama stepped to one side so as not to obstruct the view of this man who had come to change our lives forever. “You do live well, don’t you?” he announced, without bothering to disguise his envy. He began to study the room in great detail: the coppery drapes, the silk net curtains to filter the light from the courtyard window, the imposing sofa with yellow Pompeii cushions, the oil portrait of Mama with her flawed pearl hanging around her neck and bare shoulders. The Ogre inspected every object with the precision of a ruthless auctioneer. It was obvious from his eyes the things he liked most and he was planning to keep for himself. Our living room was filled with the smell of gunpowder, burnt wood, smashed windows, ashes. I placed myself as a shield between the Ogres and Mama. When she laid her hands on my shoulders, I could feel her trembling. He pronounced almost with such spite that it was as if he had slapped me. When he said Papa’s name, I thought my heart would burst. I took deep breaths to try to calm it, to prevent them from hearing my blood pumping so loudly. I began to perspire. Mama still had the fixed smile on her face. Her cold hands were making my shoulders numb. I had to think of something else, to escape from the room, my mother, the Ogres: I started to peer at the brocade on the silk wallpaper. Strands of fern leaves ending in bunches of flowers that were repeated endlessly. Go on, Hannah, follow the trace of your roots and don’t think about what is going to happen, I kept telling myself over and over. One, two, three leaves on each stem. I lost concentration when a drop of sweat started slowly to roll down my temple. I didn’t dare stop it, so I let it drip onto my front. I sensed that Mama was about to break down. Please don’t cry, Mama. Don’t let them see how desperate we are. Don’t lose that beautiful, cold smile of yours. Tremble all you like, but don’t cry. It’s Papa they’ve come for, and we knew this moment would arrive. It was high time we heard the banging at the door. The chief Ogre went over to the window to check which side of the street our living room faced and possibly also to calculate how much our apartment was worth. Then he crossed to the gramophone. He picked up Papa’s fragile record, examined it, and looked straight at Mama. I could sense Mama was about to offer them tea or some other drink, and I stiffened to try to convey to her not to do it. Stay as you are, proud and erect. I’ll protect you. Lean on me; don’t let yourself collapse and don’t offer the Ogres anything. The man paced slowly round the room, and as he did so, the current of freezing air expanded around him. I couldn’t stop trembling. I was going to have to run to the bathroom. The Ogre waved to his two men to search the other rooms. Perhaps they wanted to steal our jewels. It wouldn’t be hard to find them: they were in the box with the lonely ballerina on top, together with the Patek Philippe watch that Papa wore only on special occasions. Perhaps they were after the money Mama kept in one of her bedside table drawers. All our cash was there, apart from some she’d given to Eva in case of an emergency. The rest was in bank accounts in Switzerland and Canada. The Ogre went back to the gramophone. He lifted the arm with the needle and studied it intently. If he broke it, or if anything happened to the gramophone, Papa might have killed him. It was something he would never forgive. “Herr Rosenthal is about to arrive,” said Mama, and I wondered how she could be telling them that when she knew they were there to take him away. All of a sudden it became clear to me that it was not the money they were after, or the jewels, the paintings, or even Papa’s wretched gramophone: what they wanted were the six apartments in our building. First they wanted to scare us and then take them from us. No doubt the chief Ogre would move in, sleep in the main bedroom, take over Papa’s study, and destroy all our photos. The Ogre settled into Papa’s velvet armchair and began to stroke it as though testing the quality of the fabric. He took his time caressing the arm, staring intently at me all the while, telling me silently by this that he was willing to wait for Papa for as long as it took. He was comfortable and began to study the photographs of the Strauss family displayed on the walls around the room. Until then I had never noticed how the staircase leading to our apartment creaked, but now it sounded as loud as church bells. The moment had arrived. The chief Ogre had also heard the footsteps and sat motionless, ears pricked. From where he was sitting, he dominated the whole room. Another step, and I realized Papa was outside the door. My heart was about to explode. Mama’s breathing quickened; I was the only one who could hear her soft moans from behind me. I was going to shout “Don’t come in, Papa! The Ogres are here! There’s one sitting in your favorite armchair!” But I realized there was no point. There was nowhere for us to escape to. Berlin was a pocket handkerchief; they were bound to catch him sooner or later. And Mama was about to faint. The Ogre and his entourage took up positions behind the door. I could hear the key scraping in the lock; it always got stuck a little. Silence, growing longer and longer. The delay disconcerted the chief Ogre, who exchanged glances with his men. To me, every second seemed like an hour: I even found myself wishing they would take him away once and for all—for him to disappear with them. A few more minutes like this, and I would be the one who fainted. I wanted to go to the bathroom; I couldn’t hold it in anymore. I didn’t want to be a witness to the humiliating spectacle that the Ogre had been carefully preparing for us, so that we would beg and weep disconsolately. Mama did not move. And the strongest, most elegant man in the world came in. The one who put me to sleep and gave me a kiss whenever I was afraid. The one who hugged me, cuddled me, and swore that nothing would happen, that we would go far away, to an island that not even the Ogres’ tentacles could ever reach. The look on Papa’s face showed how sorry he felt for us. He seemed to be asking himself how on earth he could have put us in such a position. We had already experienced something similar that November night when he was arrested. But this was the decisive moment. There was no going back, and he knew it. It was time for him to say good-bye to the woman he loved, to the daughter he adored. Papa nodded without looking the Ogre in the face. He took several steps toward me, trying not to glance at Mama, because he knew that might weaken her. I was the one who could resist, who in the end would be without a father to protect her from ghosts, witches, monsters. But not from the Ogres. No one could defend us against them. He put his arms around me and took hold of my icy hands. I could feel how warm his were. Lend me some of your warmth, Papa. Chase this terror from my bones. I hugged him with what little strength I had left. And I wept. That was what the Ogres wanted: to see us suffer. “My Hannah, what have we done to you . . .” he whispered, his voice choking. I closed my eyes tight. They were separating me from the man who until today had protected me; the one in whom we placed all our faith to save us. They were taking him away. Mama held me and drew me to her. I realized that, from then on, the weakest person in the family would be my only support. I still had my eyes shut tight, despite the tears. Haven’t they taken him away? Haven’t they changed their minds? Nobody heard me. Nobody saw me. Nobody cared. I could sense a whisper behind me. It was Mama. “Where are you taking him?” she asked, her voice quaking. Yes, of course. They would send him back safe and sound. And he would return and tell us he had been treated like a fine gentleman. That, rather than water, they had served him wine in a big, warm, well-lit cell. But I knew what was really going to happen: he would sleep in a crowded cell and go hungry. And if we were lucky, we would occasionally hear news of his wretched existence. From the day they took Herr Schemuel, the butcher from our neighborhood, we’d had no news of him. There was no difference between him and my father. To them, we were all the same, and I was convinced: nobody came back from that hell. I should have clung to him until he dragged me away, to have recorded that moment I could no longer remember, because I tended to erase sad moments from my mind. Mama rushed to her bedroom and closed the door. Terrified, I ran in after her and saw her opening drawers and pulling out documents that she scanned hastily. I couldn’t believe it. Where are you going, Mama? There’s nothing we can do. We have lost Papa! But it was no use: with the strength of the Strauss family, which had been suppressed until that moment, Mama plunged into the street after months of shutting herself in. She slammed the front door and vanished, unconcerned about her makeup, whether her shoes and her handbag matched, if her dress was properly ironed, or if she was wearing the appropriate springtime perfume. I closed my eyes again and told myself: you must not forget this. I started to list everything I had to engrave on my memory: the brocade wall coverings, the light in the hallway, the velvet armchair, Mama’s fragrance. Even so, the most important thing escaped me: Papa’s face. I was all alone. In an instant, I knew what it was like to be without my parents. And I also knew it would not be the last time.